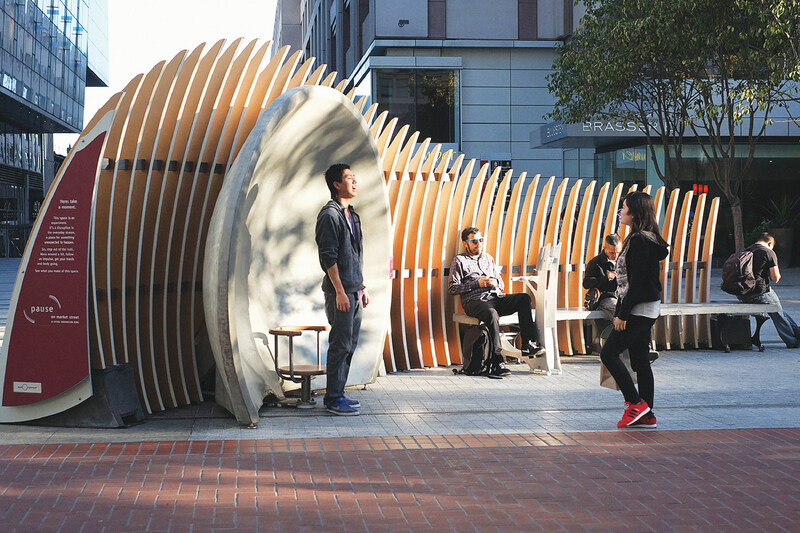 The Exploratorium installed this public interactive exhibit in San Francisco, called ‘Whispering Dishes.’ A pair of curved concrete dishes (just one is shown) focuses sound so that two people around 15 meters apart can hear one another whispering, even over the din of a busy street. Some people aren’t comfortable in big, formal science museums. Others face economic barriers to entry or don’t have such an institution in their community. Luckily, getting involved in science is becoming more and more apt to happen outside a formal setting. Evolving explorations of what it means to be a modern science museum means that many more people are encountering — and participating in — scientific programming, wherever they may be. 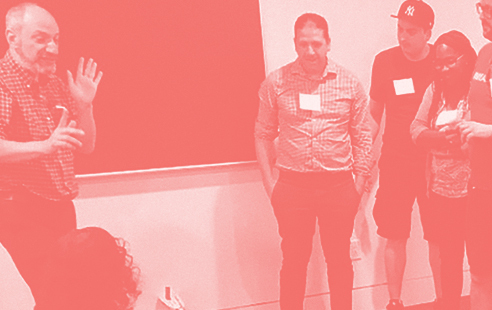 Science Sandbox, a Simons Foundation initiative whose mission is to unlock scientific thinking by engaging people with the process of science, is now helping some of its grantee partners upend the stereotype of the traditional, staid science museum. The mollusk museum features a 3-D-printed octopus brain and a glowing holographic aquarium, where visitors can peek inside to see virtual images of mollusks swimming, squid hunting or octopuses squiggling around. Continue around the display to learn how the creatures live, how similar they are to aliens in movies and how they’ve adapted to survive. Visitors explore MICRO’s Smallest Mollusk Museum. Another Science Sandbox partner, the New York Hall of Science (NYSCI) — located in Queens — uses science to bridge cultural and economic divides. The museum’s NYSCI Neighbors program, an outreach effort in Queens’ Corona neighborhood, launched Science Ambassadors in February 2017. The museum opens up after school, free of charge, to students in a network of 20 collaborating schools within walking distance. Children get help with homework, explore exhibits in the museum and take advantage of the Design Lab and Maker Space. Many schools in the area — where most residents are immigrants — don’t provide much access to STEM programming, says Margaret Honey, president and chief executive officer of NYSCI. And if you are an undocumented immigrant, a large museum might be all the more intimidating. 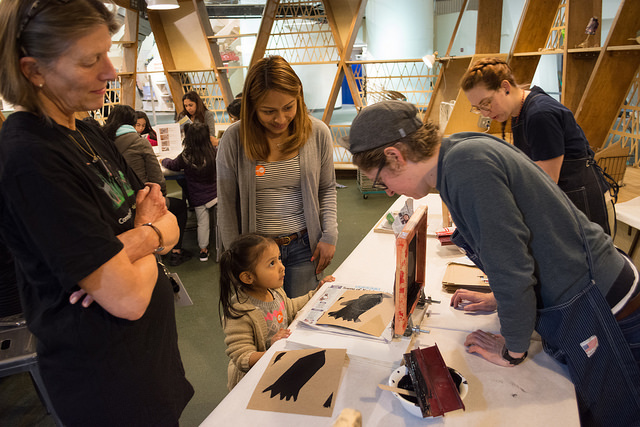 So NYSCI Neighbors hopes to build trust within Corona by offering resources and shared experiences that help both parents and children engage in science. “I think it’s a good opportunity for kids and parents to come in and then to get exposed to the rest of the stuff that’s in the museum,” says Luz Salazar, whose daughter, Camila Melendez, gets homework help through Science Ambassadors. When Camila finishes her studies, she takes part in design-make-play classes that nurture creative problem-solving. The New York Hall of Science’s Science Ambassadors program welcomes thousands of students and their guardians for free during after-school hours. While at the museum, students can explore exhibits, receive help with homework and witness live science demonstrations. A third Science Sandbox partner, the Exploratorium, focuses on helping people learn on their own through interactive exhibits. Founded by physicist and educator Frank Oppenheimer in 1969, this highly regarded public science museum and learning laboratory in San Francisco, California, encourages visitors to be curious and ask questions. In the museum’s Tinkering Studio, for example, visitors use tools such as pliers, scissors and sewing needles to create projects — such as wearable working circuits — that they can follow up with at home. The museum also creates science experiences for the people outside its walls: its Studio for Public Spaces places exhibits throughout San Francisco. 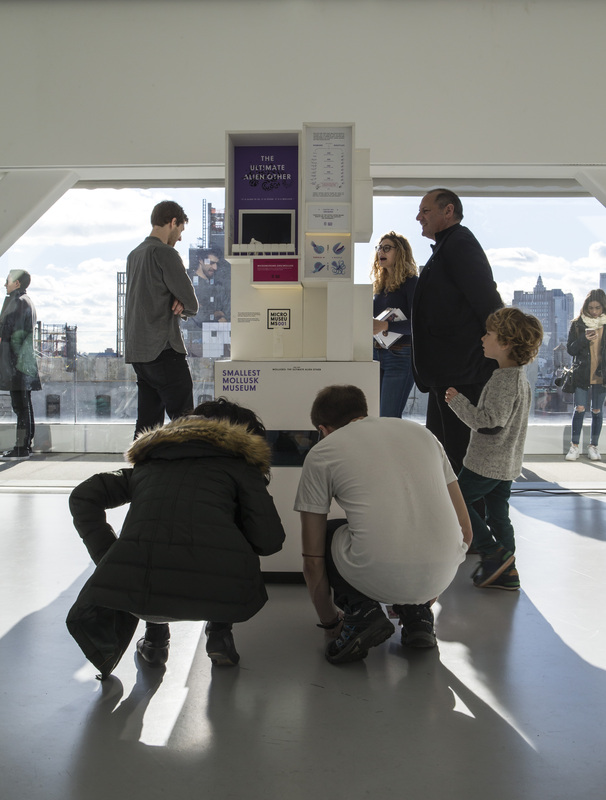 When people encounter an exhibit or a novel, surprising environment while going about their daily lives, this can create a welcome interaction and learning experience. Some displays foster examination of the physical senses, whereas others bring people together to explore social interactions. Engaging with people outside of the museum often creates a more meaningful experience for them, says Robert Semper, the museum’s associate executive director. Science Sandbox also partners with non-museum organizations that take similarly innovative approaches to communicating science widely. The Science Festival Alliance’s Just Add Science initiative also meets people on their own turf, infusing science into venues such as county fairs, sporting events and Renaissance festivals. Pioneer Works, a cultural center in a restored warehouse in Brooklyn’s Red Hook neighborhood, offers programming such as the Scientific Controversies series, which features speakers such as biologist Richard Dawkins and Nobel laureate Rainer Weiss in conversation about provocative topics in science. And the San Francisco Bay Area’s Science Action Club, designed by the California Academy of Sciences, is a nationwide out-of-school program for middle schoolers that encourages curiosity about the natural world while providing students with hands-on activities that promote STEM learning.